Study Guides for Books of the New Testament – an ongoing project! This book has been edited and is in ‘final’ format now! Enjoy and share as you wish. Blessings! You can read below or via scribd here. It is free to read and share and download. The Bible states that our Lord Jesus Christ was born of the seed of David. Our book concludes that a regenerated (without a sin nature) seed, bonds with an egg in Mary’s body, to begin a gestation period ending nine-months later in a stable in the town of Bethlehem. When the Holy Spirit came upon Mary, the power of the Most High brooded over her much as He did when He created our world: to bring about a process that led to the birth of our Lord and Savior. Thus, Jesus was born of His father David, and His mother Mary, who was a descendant of David through His son Nathan (see Luke 3:23-38). This book describes the genealogy leading up to the Lord’s birth from the beginning to the flood, from the flood to Abraham, from Isaac through Judah, from Pharez through David, and ultimately to the birth of Christ. The Messianic Line – just released! if it were not so I would have told you. The meaning of the word “mansions,” in this passage of scripture is misleading if your thinking is drawn to a luxurious home in heaven. John 14:2 GNT, gives the Greek word used here as “dwelling places,” but even that wording doesn’t convey the real meaning of this scripture. Jesus is comforting the disciples here after He informed them that He was going away to a place where they could not follow Him: John 13:33 says, “Little children, yet a little while I am with you. Ye shall seek after me: and as I said unto the Jews, Whither I go, ye can not come . . .” In verse 36, Jesus reassured them when questioned by Peter about where He was going: He answered saying, “. . . Whither I go, thou canst not follow me now; but thou shalt follow me afterwards.” We will forever be with the Lord from the time we join Him during rapture (1 Thessalonians 4:17). John 14:2 NIV interprets this as, “In my Father’s house are many rooms; if it were not so, I would have told you. I am going there to prepare a place for you. And if I go and prepare a place for you, I will come back and take you to be with me that you also may be where I am.” This is the accepted Christian understanding: we join Jesus in the clouds of heaven when He returns at the rapture to gather the dead in Christ, and the living believers (1 Thessalonians 4:16-17). Another point we need to make here concerns the phrase, “Father’s house.” The generally accepted meaning of this phrase is “heaven.” It is important to recognize here that we are focusing on the abode we will have in “heaven,” and not any abode we might have during the millennium, the thousand-years during which Christ will rule from His throne in earthly Jerusalem. Revelation 19:11-20:11, describes the coming of Christ on a white horse, followed by the armies of heaven, to conquer the antichrist and the kings of the earth and their armies. The antichrist, and the false prophet are taken, and cast into the lake of fire and brimstone. Satan is also bound and cast into the bottomless pit for the thousand-year period (millennium), so that he can no longer deceive the nations. After the thousand-years Satan is released for a short period of time. We are now ready to determine what the term “mansion, or dwelling place” in heaven actually means. We need to realize that the dwelling place (abode), we occupy now on earth as living breathing creatures is the third part of our tripartite being: the body, formed in the womb of our Mother in accordance with the code (DNA) inherited from our parents. This earthly body is described in 1 Corinthians 15:35-37, 44: “But some man will say, How are the dead raised up? and with what body do they come? Thou fool [foolish one], that which thou sowest is not quickened, except it die. And that which thou sowest, thou sowest not that body that shall be, but bare grain, it may chance of wheat, or of some other grain. But God giveth it a body as it hath pleased Him, and to every seed his own body. . . .It is sown a natural body; it is raised a spiritual body. . .” In this passage of scripture Paul answers the question about what happens to the physical body at death. He begins in verse 36, by clarifying the fact that the earthly body is buried at death so that it can be quickened (made alive). The spiritual body that is formed, in part, from the seed (embryo), of the earthly body that was buried, is given an incorruptible body pleasing unto God. We know from above that this heavenly body is a work of God, with one of the constituents being a seed from our earthly bodies. Although the Bible describes this constituent as a seed, my inclination is to suggest that what God uses here is a fragment of DNA. The DNA contains everything needed to describe the earthly body, and thus, God has everything about our earthly body He needs to form the heavenly body that pleases Him. I know of nothing specific that describes this seed; however, 1 Corinthians 15 provides some of the characteristics of the heavenly body. Philippines 3:21 says that the Lord “. . . shall change our vile body [fashion anew the body of our humiliation], that it may be fashioned like [confirmed to], unto his glorious body [the body of his glory], according to the working whereby he is able even to subdue all things unto himself.” 1 John 3:2 adds, “Beloved, now are we the sons [children] of God, and it doth not yet appear [is not manifest] what we shall be: but we know that when he shall appear, we shall be like him; for we shall see him as he is.” These two passages of scripture tell us that we will have a body like Christ, and that He is the One that will bring about this marvelous change. Still, this does not tell us much about our appearance, etc. We can note the scriptures that tell us something about the body of Christ: He was visible to the disciples, and yet He could walk through walls; He could eat fish (and probably other food products); He could carry on a conversation with human beings; His body still retained the scars of His crucifixion; gravity was not a problem for Him, He could rise to heaven or He could walk on earth. However, we cannot assume the heavenly bodies we will be given will necessarily manifest all the characteristics of Christ’s heavenly body. The new Jerusalem (part of the new heaven and new earth), comes down from God prepared as a bride adorned for her husband. The city will be surrounded by a great wall 1,500-miles in length, 1500-miles in width, and 1500-miles in height. The wall will have twelve gates for access for those whose names are written in the Lamb’s Book of Life. As interesting as the above information is, it is mostly about the environment we will encounter after we join Christ at the rapture: it does not provide much help in understanding the makeup our heavenly bodies. Revelation 22:12 raises an interesting question concerning the rewards given to man based on his work. 1 Corinthians 3:13-15 clarifies this somewhat in describing us as being fellow-workers with God, building on the foundation of Jesus Christ: “Every man’s work shall be made manifest; for the day shall declare it, because it shall be revealed by fire; and the fire shall try every [prove each] each man’s work of what sort it is. If any man’s work abide which he hath built thereupon, he shall receive a reward. If any man’s work shall be burned, he shall suffer loss: but he himself shall be saved; yet so as by fire.” We understand from this that the work done by man to further the Kingdom of God will survive the refiner’s fire, and result in receiving a reward; whereas, work not in accord with God’s will (built upon wood, hay, and stubble), will be consumed by the refiner’s fire, and result in suffering loss, but the man himself will be saved, yet so as by fire. The word “fire,” used in this passage of scripture comes from a Greek word meaning severe trial. Thus, the lesson being taught seems to be that if I do something in accordance with God’s will that has lasting benefit (will survive the refiner’s fire), I will receive a reward manifested (in some way) in my heavenly body, or possibly in my abode or dwelling place in heaven. From Matthew 25:31-40, we assume that rewards for Godly deeds done unconsciously, are especially prized by God. We cannot imagine what it will be like when we join Christ and all the other saints, angels, the elders, the four beasts, and all the others before the throne of God (Revelation 7:9). It will be a different world, and we can’t make valid extrapolations based on our present world. We must approach this with an open mind, and try to understand what the Lord seems to be telling us. Although the new Jerusalem is enormous in size, it would be a significant stretch to imagine that everyone there will have a three bedroom house with two baths, dining area, living room, etc. Contrast this with the fact that there is no temple for God and Jesus Christ, which leads us to wonder where they retire for rest and rejuvenation. Could it be that neither they, nor the raptured, need to rest? There is no night there, so it seems quite possible that no one will sleep. Neither is there any mention of food, other than in Revelation 2:7, which says that overcomers will be given fruit from the tree of life. I get the impression that eating may be optional, and not necessary for the life of our heavenly body. Ezekiel 47:12, which seemingly describes conditions in Israel during the millennium, includes a very detailed description of the (tribulation?) temple of God. It states that there are many trees along the side of the river and adds that the trees never fail to provide fruit to eat and leaves for medicine [healing]. Also, great multitudes of fish are also available (Ezekiel 47:9-10). Fishermen stand by the side of the river all the way from Engedi to Eneglaim, and spread nets to catch fish. But conditions in the new heaven and the new earth are different in many ways from those in the millennium, and our interest here is focussed on the body and abode we will have in heaven. There are many allusions in the Bible to the body we will have in heaven, but the most informative seems to be in Chapter 5 of 2 Corinthians. Verse 1 says, “For we know that if our earthly house of this tabernacle were dissolved, we have a building of God, an house not made hands, eternal in the heavens.” Strong’s Concordance says that the word “tabernacle” is used figuratively to mean the human body. So the meaning here seems to be that when our earthly body dies we have an eternal building (abode) in heaven, not made with hands. Here we have a positive reference to an abode in heaven that replaces our earthly body when it is “dissolved.” Wow, this opens up a totally new way of thinking about our heavenly body/abode. Verse 2-3 says, “For this we groan, earnestly desiring to be clothed upon with our house which is from heaven. If so be that being clothed we shall not be found naked.” This reinforces the promise in Verse 1, by saying we will be clothed with our house which is under construction in heaven, using construction materials of gold, silver, and precious stones (1 Corinthians 3:12). I believe we can safely conclude that these three represent worthy acts that further God’s work in this evil world. The GNT word for house in these two verses is “dwelling place” which, according to Moulton’s Analytical Greek Lexicon means “the bodily abode of the soul.” The obvious conclusion from these verses is that the “mansion,” or “dwelling place,” that Jesus is preparing for us in heaven is our new body, the future home of our spirit/soul. The building materials Jesus uses to construct this miraculous heavenly body/abode include the “seed” from our dead earthly body, plus the lasting works that survive the “the refiner’s fire.” “For we must all appear before the judgment start of Christ; that every one may receive the things done in his body, according to that he hath don, whether it be good or bad”(2 Corinthians 5:10). Most of the Bible expositors that I have consulted seem to focus on the words “mansion,” “dwelling place,” or “abode,” in John 14:2. I have found none that interpret this passage as proposed above which entails a world wherein there are apparently no houses, no darkness of night, doubtful sleeping, and questionable eating. Clothing of white robes representing righteousness will be worn by the saints, and other items of clothing will be provided for those who were slain for the word of God. Three types of crowns are also given as rewards for righteousness, life, and glory. There will be no death, sorrow, crying, or pain there, but lots of singing, worship, and joy. It is hard to keep from wondering about things like gravity: I doubt that that our heavenly bodies have any mass since they are immaterial, and the new world is 1500-miles deep which would be quite a climb. It is impossible to envision the new world believers’ will encounter when they pass into God’s heavenly realm: all the experiences we have are from our present earthly world, and the Bible provides only limited information about the new heaven and new earth. This article focusses on the body and “abode” we will have in the new world based on my understanding of God’s word. But if you try to understand it by comparing it to our earthly bodies and dwelling places, you probably will not receive it. Most believers would be surprised to hear that the various gifts, ministrations, and operations given to mankind include those bestowed by the three different entities of the triune God: God the Father, God the Son, and God the Holy Spirit. 1 Corinthians 12:4-7 says, “Now there are diversities of gifts, but the same Spirit. And there are differences [diversities] of administrations [ministrations], but the same Lord. And there are diversities of operations [workings], but it is the same God which worketh all in all. But the manifestation of the Spirit is given to every man to profit withal.” It is helpful to our understanding of this passage of scripture to consider the meaning of the Greek words used to describe these three separate “gifts.” In verse 4, gifts from the Holy Spirit are described by the Greek word interpreted “charisma,” which is a noun meaning a spiritual gift. It is used seventeen times in the NT. In verse 5, the Greek word used is interpreted “diakonos,” meaning “administrations [ministrations],” a function, ministry, or office in the church. In verse 6, the Greek word used is interpreted “energema,” meaning “to put into effect.” When used in reference to God, which this seems to be, it refers to the power of God at work in the life of His people. My understanding of this difficult passage is that gifts are dispensed by the Holy Spirit at His discretion (1 Co. 12:11); ministries are given by Christ (Eph. 4:8-11), and implemented by the Holy Spirit; and God the Father gives the go-ahead to various operations (workings) within the body, which are then guided by Christ, and implemented by the Holy Spirit. We turn next to the various gifts, ministries, and endowments that these three categories include. Charisma: The gifts of the Holy Spirit to believers are listed in 1 Corinthians 12:8-10, and include the word of wisdom, the word of knowledge, faith, gifts of healing, the working of miracles, prophecy, discerning of spirits, various kinds of tongues, and the interpretation of tongues. You will note that only nine gifts are listed here, seven of these are repeated in various forms in Romans 1:11, 11:29, 12:6; 1 Corinthians 1:7, 7:7; 2 Timothy 1:6; and 1 Peter 1:6. Diakonos: A noun found in thirty different contexts meaning servant, minister, or deacon. It is used to describe one who serves or ministers in Matthew 20:26, 23:11, and Mark 9:35, 10:43. It refers to servants as deacons in 1 Timothy 3:8, 12, and as deaconesses in Romans 16:1, 27, and as servants of the church in Colossians 1:25 and 1 Timothy 4:6. In John 12:26; 1 Corinthians 3:5; 2 Corinthians 11:23; Ephesians 6:21; Colossians 1:7 it refers to servants of Christ, and to servants of God in Romans 13:4; 2 Corinthians 6:4; and 1 Thessalonians 3:2. It also refers to ministers of the new covenant in 2 Corinthians 3:6, and as ministers of the gospel in Ephesians 3:7, and Colossians 1:23. Energema: While the gifts referred to above are activated spiritually, and the ministries require a personal commitment of some sort, this Greek word seems to refer to the actual power, or faith, to bring the contemplated action into effect. Faith is the power of persuasion that generates the belief that we can do what God desires. Romans 12:3-6 seems to confirm that God provides the necessary faith to bring the gift or ministry into effect. Romans 12:3 KJV says, “God hath dealt to every man the measure of faith,” however, the GNT says, “God divided a measure of faith to each.” The magnitude of the measure assigned is seemingly determined by the particular spiritual gift or ministry operating within the body member: different gifts require different levels of faith, and the body member proves himself capable of doing God’s will through the renewing of his mind. As we grow in holiness by becoming more Christlike, God can trust us with ever greater spiritual authority. With God this is a package deal: He gives the gift via the power (faith) required to manifest the gift. We are cautioned to not think more highly of ourselves than is warranted, for all members of the body are equally important, and God is the One that dispenses gifts. These gifts and ministries are given to benefit all members of the body, and the body is to function as a unit, with all the various parts (members) functioning as God has given grace, with one mind and with one mouth, glorifying God. To question or to envy another member’s gift is to question God’s authority to distribute spiritual gifts as He sees fit. As indicated above these gifts are listed in 1 Corinthians 12:8-10. 3. Faith is the power of persuasion that leads to belief. It is a gift of God that must be tested and tried before it becomes real in your life. “That the trial of your faith, being much more precious than gold that perisheth, though it be tried with fire, might be found unto praise and honor and glory at the appearing of Christ.” (1 Pe. 1:7 ). 4. Gifts of healing, which are speciﬁc acts of healing to the body, including the mind, are often imparted by the laying on of hands. This healing comes from God, not from the physical touch of the hands however. 5. The working of miracles (or powers), thought to be a significant divine revelation, usually, but not always, accompanied by a miraculous sign or event given or engineered by God. 6. The gift of prophecy refers to individual prophecies given by members of the body. The word of prophecy refers to the rendering of God’s plans and purposes to his people, and the world at large. The book of Revelation is referred to as a prophecy in Revelation 1:3. 7. Discerning of spirits refers to discerning between good and evil spirits (between godly and demonic spirits). 8. Understanding various kinds of tongues as used in this verse is thought to refer, or indicate, discourse that bears no relation to ordinary human language. Speaking in tongues is thought to refer to the use of spiritual language, often given as prophecy. 9. Interpretation of tongues is necessary when a prophecy in tongues is given in the body. In this case the prophet is charged with the responsibility of insuring that the message given in tongues is interpreted, so that the body can understand. This listing of the gifts closes with 1 Corinthians 12:11 GNT which says, “And the one and the same Spirit works all these things, distributing separately to each as He purposes.” The Holy Spirit appears to have considerable freedom in determining when, and through whom, individual spiritual gifts are applied. 2. Romans 16:1 says, “I commend unto you Phebe our sister, which is a servant of the church at Cenchrea:” Ministers of the church included both men and women. 3. Deacons must be the husband of one wife, ruling their children and their own houses well (1 Ti. 3:12). 6. 1 Corinthians 12:5 says, “and there are differences [diversities], of administrations [ministrations], but the same Lord. Those with the gift of ministering in the church are listed in Romans 12:6-8; 1 Corinthians 12:28; and Ephesians 4:11-12. The use of the word “gift” here might be better given as “graces.” Paul uses this expression to refer to natural endowments strengthened by the influence of the Holy Spirit. Like a candle placed in an oxygen environment leaps up to a more brilliant flame, so the faculties of the believer are many times more effective when quickened by the power of Jesus Christ. After Jesus ascended to His seat at the right hand of God He gave some to be apostles, some prophets, some evangelists, some pastors and teachers, some helpers, and some for governing, for the perfecting of the saints, for the work of ministry unto the building up of the body of Christ. This is possibly the most difficult “gift” to understand. 1 Corinthians 12:6 GNT says, “And there are differences of workings, but the same God is working all things in all.” This seems to say that God is “working” to bring all the gifts and ministries we have discussed into effect. There are several scriptures that help in our understanding of this. For example Ephesians 3:7 says, “Whereof I was made a minister according to the gift of the grace of God given unto me by the effectual working of His power.” From this we assume that God brings about (effects) the selection of ministers in the body, and logically this same procedure probably applies to all the ministerial gifts in the body. Ephesians 4:16 seems to validate this assumption: “From whom the whole body fitly joined together and compacted [framed and knit together] by that which every joint supplieth, according to the effectual working in the measure of every part, maketh increase of the body unto the edifying [building up] of itself in love.” This is what God is trying to bring into effect: building-up of the body through the increasing influence of the Head (Christ). Colossians 2:12 refers to our salvation through faith in the operation of God, who raised us from the dead. The “operation” or “working” that God used here is empowered by faith, which God uses to achieve His purposes. After we receive God’s injection of saving faith the process of increasing, or growing, this initial faith begins. This occurs as we hear God, act on His written or spoken word, and see the word bear fruit. When God manifests one (or more) of His spiritual gifts in a man, He knows the man is prepared to receive the faith necessary to use the gift to benefit those in the body of Christ. He knows how successful (or not) the mind-renewing process has been in breaking down hard places in the heart. Oswald Chamber’s meditation on Hebrews 11:6 says, “Faith must be tested and tried before it becomes real in your life. . . so that no matter what happens, the transforming power of God’s providence transforms perfect faith into reality.” Let us all grow the faith that God gives us by boldly acting on the guidance we receive from the Holy Spirit. “That the trial of your faith, being much more precious than gold that perisheth, though it be tried with fire, might be found unto praise and honor and glory at the appearing of Christ.” (1 Pe. 1:7 ). It seems clear from 1 Corinthians 12:4-6 that God gives gifts, ministries, and brings about workings in the lives of Christian believers. The first difficulty we encounter in this passage is the statement that different gifts are given, but the same Spirit; different ministries are given, but the same Lord; and different operations (workings) are effected, but the same God. God does not make mistakes, so we must accept this as having meaning that He intends for us to understand, even if we have to struggle to find it. 1) As our comforter He provides encouragement and alleviation of grief. 2) As our sanctifier He renews our minds and conforms us to the image of Christ. 3) He witnesses with our spirit that we are sons of God. 4) He gives us understanding of the Word of God. 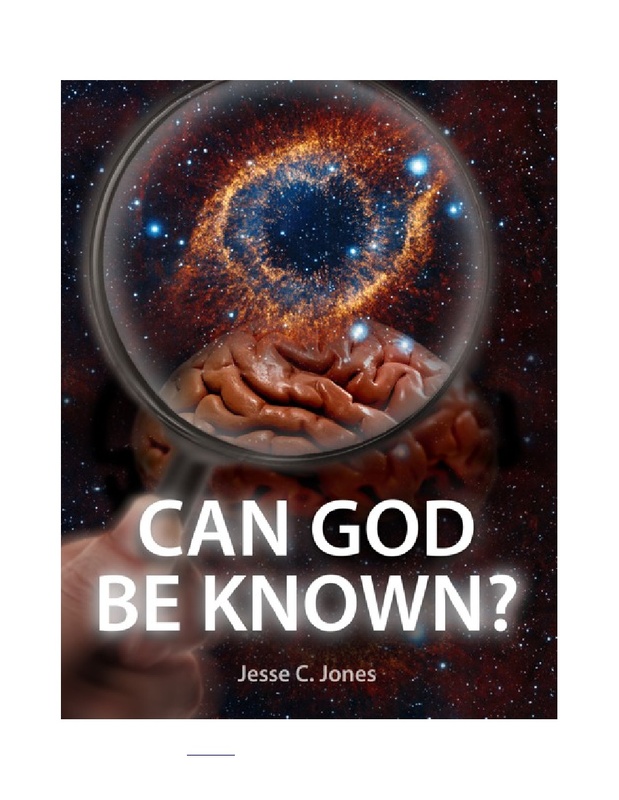 5) He knows the mind of God, thus we have access to the mind of God through Him. 6) He sets us free from the law of sin and death. 7) He gives us power (faith) to be witnesses for Christ. 8) He causes us to bear fruit of the Spirit. 9) He brings to remembrance the words of Christ. 10) He guides us in prayer, worship, and praise. 11) The gifts of the Spirit manifested in our lives come from Him. We see from this list that the Holy Spirit is the person of the Godhead designated to work closely with mankind, to be aware of his spiritual condition, to know his strength and weaknesses, and thus be the One to determine a fitting gift (or grace), for the person within the body. He is God within us. We see from above that the Lord (Jesus Christ) is intimately involved in assigning the ministerial gifts to mankind. Ephesians 4:11-12 says, “And He (Jesus)) gave some [to be], apostles; and some, prophets; and some evangelists; and some, pastors and teachers; For the perfecting of the saints, for [unto] the work of the ministry [of ministering], for [unto] the edifying [building up] of the body of Christ:” When Jesus arose after crucifixion He joined the Father in heaven, and assumed new responsibilities: that of being the mediator of the new covenant, that of being head of the church on earth, and our intercessor with the Father. In His role as mediator of the new covenant He was to insure that elect believers were to make it into heaven fully sanctified. To accomplish this, and in accordance with His role as head of the church, He selected and placed ministers in the church of God to insure that the physical and spiritual needs were properly met. It is worth noting that the ministering gifts (graces), include that of prophets, while the spiritual gifts include that of prophecy: these are not the same gift. A prophet is one that has been designated by God, and equipped to communicate His plans and purposes to His people. It is a ministry, while the word “prophecy” normally represents a one-time gift to a person, or to the church body. Prophesies can be given in tongues, but there must be an interpreter so that it is understood by those in attendance. So what is the process for man receiving gifts and ministries from the triune Godhead? We obviously do not know the answer to this question; however, I believe the procedure must go something like this: 1) for spiritual gifts, the Holy Spirit determines that the need being addressed is worthy, that the servant’s spiritual condition is such that he can use the faith required to believe to make the gift effectual, and that he manifests love and compassion for the one being ministered to; 2) for ministries, the Lord is very aware of the spiritual condition of His candidate for ministry, and He commits Himself to provide continued grace through oversight and guidance for this person to minister with love and compassion. When all these requirements have been met to the Father’s satisfaction, He provides the faith necessary for the gift, ministry or operation to be effected in the believer’s life. The key is being in relationship with Him, hearing His voice and speaking His words into a situations that He places us in. We often sense the operation of God’s gifts in our lives, but at other times we do not see how He moved through us in a given matter until sometime later. Whenever we sense Him working in our lives in this way it is a real blessing. I have used various references in this writing. First, the KJV of the Bible has been my primary source for scripture, and all scripture references are taken from this source unless noted otherwise. I have also referred to Jay P. Green’s Interlinear Greek – English New Testament, as noted by the abbreviation GNT. Other scriptural dictionaries including Vines Expository Dictionary and the New Strong’s Expanded Dictionary of BibleWords have been used for word meaning. I have also used biblical commentaries from the Bible Hub for scriptural references. If you click on the picture above you will go to a page on Scribd where all the books are linked and available except The Path to Holiness which is available to order online. 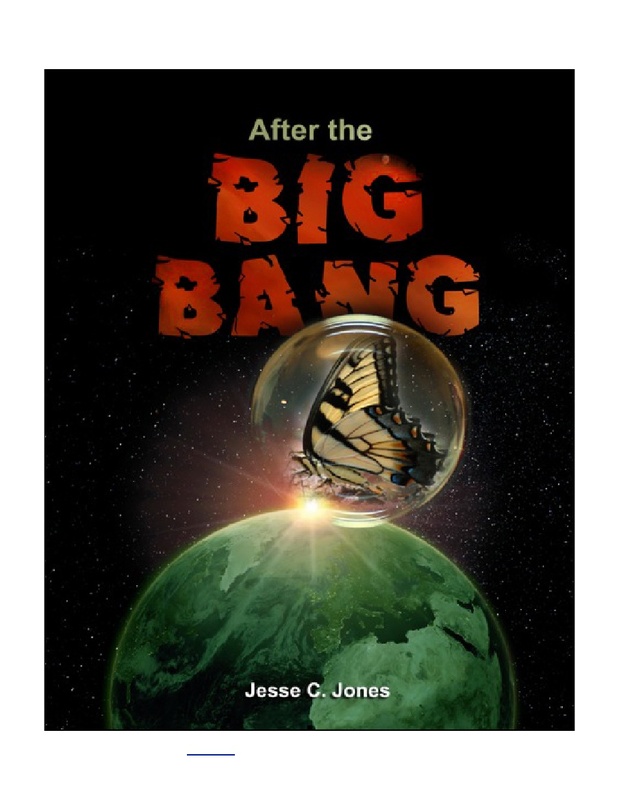 What is presented in After the Big Bang is an analysis of important details in God’s creation of the earth and man: his habitat and milieu. However, no description is completely adequate to portray the unbelievable complexity and efficacy of tripartite man. 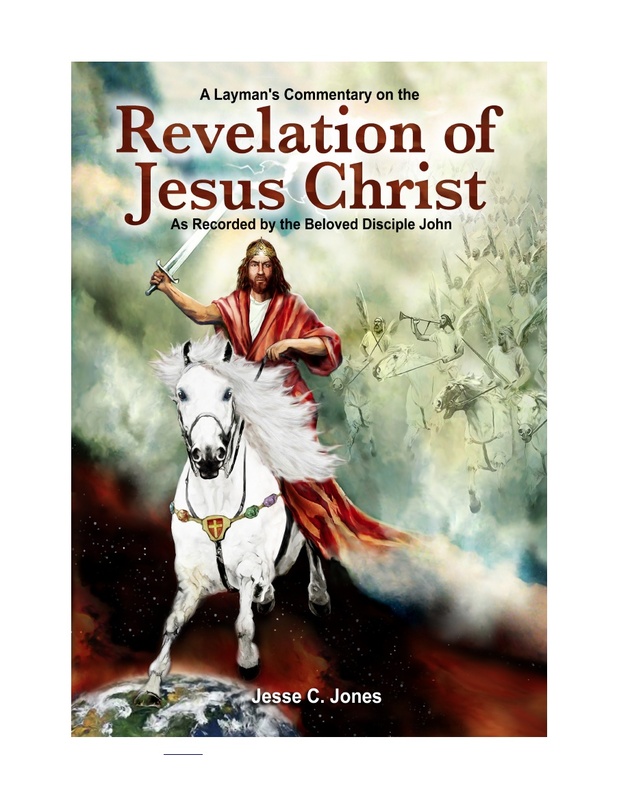 A Layman's Commentary on The Revelation of Jesus Christ describes the events that occur during the last seven years of the world as we know it. Jesus gave this prophecy to John to pass on to His servants (present-day believers) the “things which must shortly come to pass.” The events described herein are horrific, and this may be the reason why they are presented symbolically. Jesus revealed many of God’s secrets in this prophecy, and I have attempted to present them in understandable terms. This is a story about a man, a place, and a time when the lives of many people were touched by a power they did not know existed, nor did they know that this power was available to them. 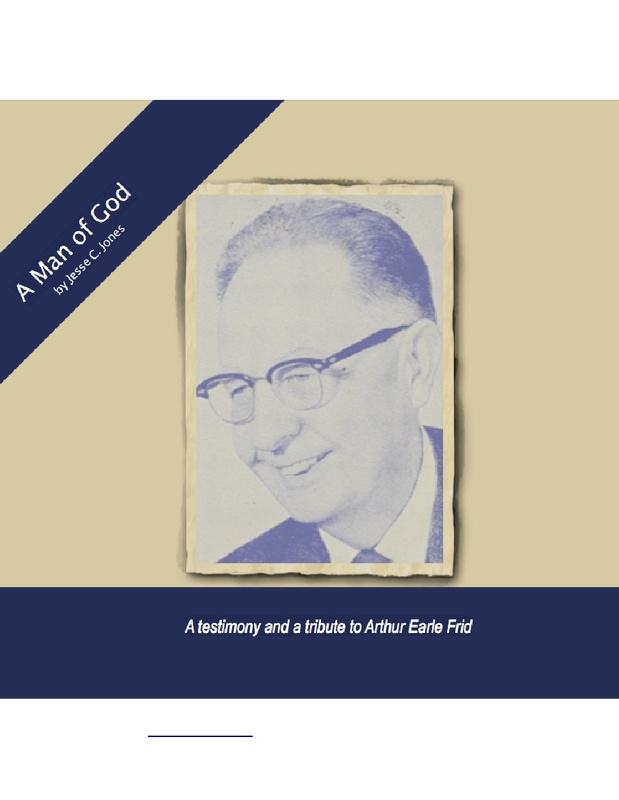 The man that God used to demonstrate this power was unassuming and totally devoid of the pride of life that plagues most men, and has led an untold number into exaggerated self-esteem and conceit. He appeared in this appointed place without fanfare, and he came into our lives as a result of an event that he had no part in, and, as far as I know was not even aware of. That he had been prepared for this place and time seems to be without question, for things happened rapidly after he began to be used by God in the ministry to which he had been called. 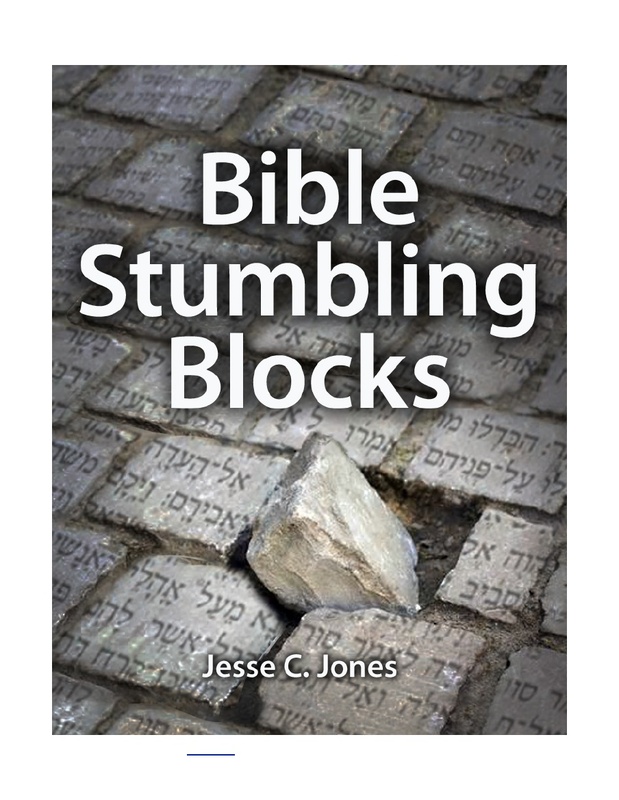 The chapters in Bible Stumbling Blocks are about eight different subjects that seemed to me worth collecting into one volume: 1) believing or not believing what the Bible says about God, 2) Jesus taking our sins, 3) biblical forgiveness, 4) temptation(s); 5) the rapture / resurrection of God’s elect, 6) when does God give the Holy Spirit, 7) strongholds, and 8) dead or alive. The wisdom of God is obviously beyond our comprehension, but with His book (the Bible), and guidance from the Holy Spirit, we may be able to grasp at least an inkling of His nature, as it relates to bringing some to eternal life. This is the task undertaken in Can God be Known?. This story is about a medical doctor who I met at a neighbor’s party who claimed to be an atheist. He had been a believer when he was younger, but fell away from God when he began to practice medicine. He came to blame God for the many deaths of small children that he encountered as a doctor. 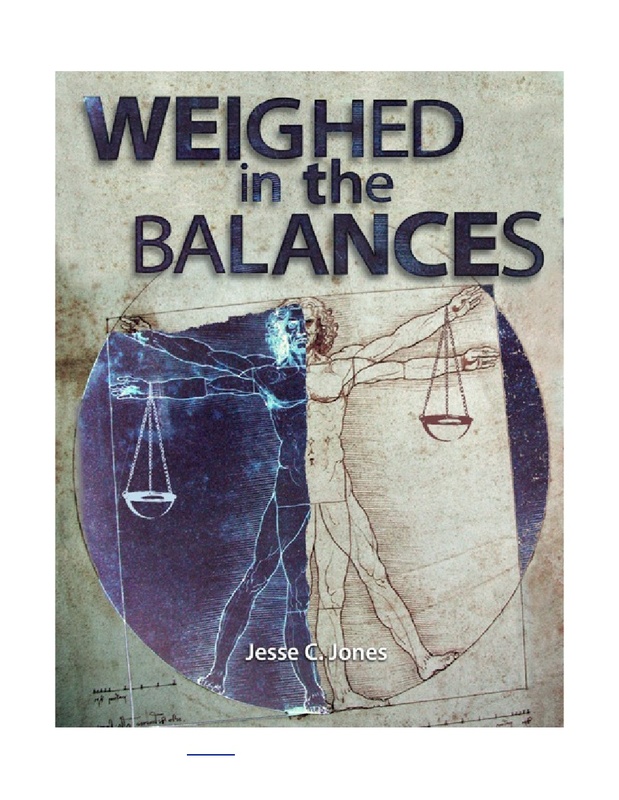 This book is about my attempt to win him back to God by giving him books that I thought would respond to his unbelief, and then answering the questions he would raise as a result. I am sorry to say that I was unsuccessful. Much has happened since I wrote this book - some good, but mostly bad. The question raised here is, “Has our nation rejected God, and allowed evil to overcome good?” I was very encouraged by the November 2017 election results, and the actions I see underway by the new administration. However, we need to recognize the fact that we have failed to maintain our reputation as a “God Fearing Nation,” founded on the Christian heritage we were blessed to inherit. 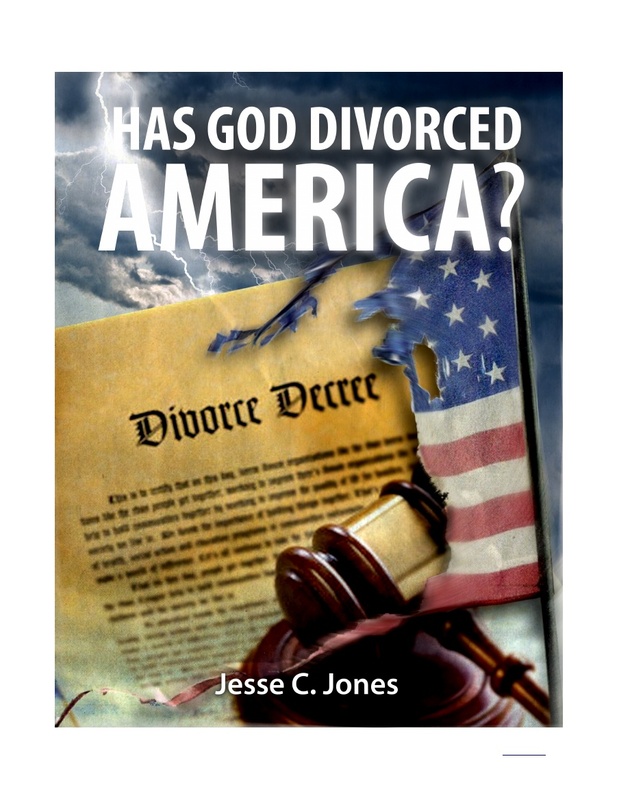 This book describes how God has dealt with such perfidy in the past. The Messianic Line describes the genealogy leading up to the Lord’s birth from the beginning to the flood, from the flood to Abraham, from Isaac through Judah, from Pharez through David, and ultimately to the birth of Christ. 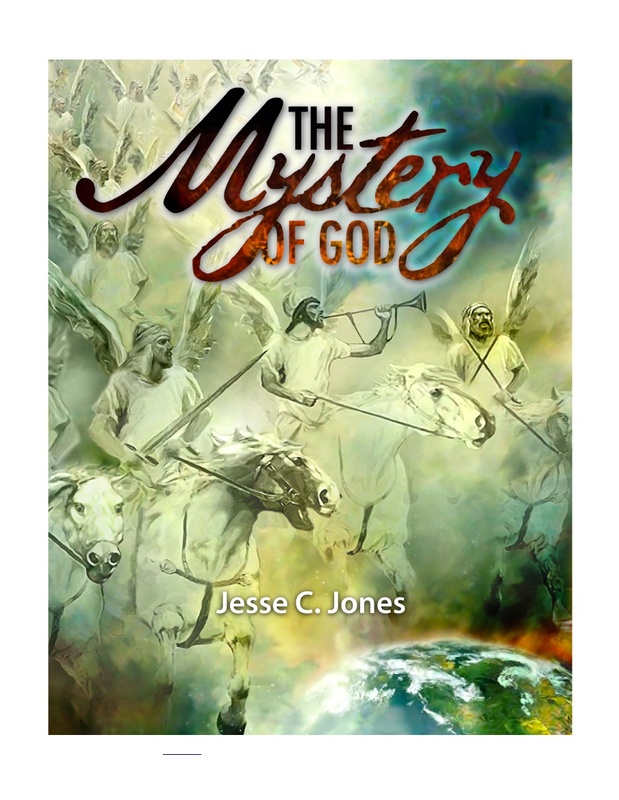 The Mystery of God presents an analysis of the biblical scriptures that prophesy events that must come about just before and after Jesus Christ returns to earth in the clouds to gather His elect in what is referred to as the rapture/resurrection. This is the only book not available to read online. Click on the picture to order via Amazon.com online. I chose the above title to reflect my understanding of what the Bible tells us about God’s plan and purpose in sending His only Son to earth in the form of a man. We know that Jesus came to restore God’s chosen ones to favor through spiritual regeneration. The path He chose is marked with milestones described herein. The Spiritual Life attempts to describe the significant spiritual events in the life of man from beginning to end, from the “womb to the tomb” so to speak. Emphasis is placed primarily on patterns God has established, and how development of the spiritual life in man seems to follow these patterns.